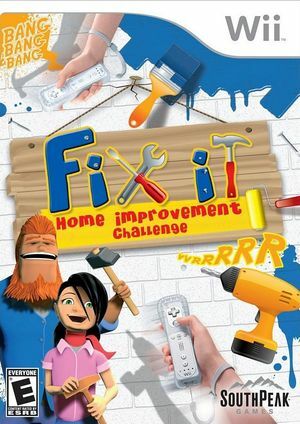 In Fix It: Home Improvement Challenge run your very own home improvement business with the ultimate DIY team! Stonewall & Brick are two of the best handymen around and along with their loyal secretary Andrea, they're ready to paint the town red, literally. Help them rise to the top by doing odd jobs around the neighborhood, building business and relationships around town. Be quick, be precise and turn a disastrous mess into a masterpiece to gain notoriety and earn the town's respect! As your business grows so will your tasks and they will only become more and more challenging along the way. Expand your business, renovate the town's theater, convert the old haunted manor into a sprawling mansion overlooking the ocean and so much more! Put on your utility belt and don't forget to grab your hard hat folks, it's time for a makeover! The graph below charts the compatibility with Fix It: Home Improvement Challenge since Dolphin's 2.0 release, listing revisions only where a compatibility change occurred. This page was last edited on 10 January 2018, at 18:14.